Anyway, these are the make-up products I use on daily basis in the morning when I only have five minutes to get ready. Before I start I use Velcro fringe holder to keep my fringe out of the way. 1. First of all I apply the PORE fessional by Benefit (www.benefitcosmetics.com). It is oil-free, lightweight, translucent, silky balm that minimises the appearance of pores. 2. Then by using blending sponge (mine is from Superdrug) I even out my skin complexion with BB cream. 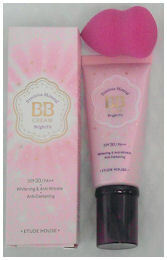 This one is by Etude House called Precious Mineral BB Cream Bright Fit in W15 Sand Beige. Summer time I favour BB creams over foundations and I am a big fan of Asian BB creams as they simply work better for me and give me more coverage. 3. It took me forever to find a perfect cream blusher that would work with my dry cheeks and complement my skin tone and I am so happy with this one. 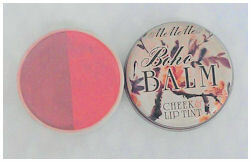 My favourite blusher is Boho Balm Cheek & Lip Tint by MeMeMe in Coral Taupe (www.mememecosmetics.co.uk). It is a great product. 6. 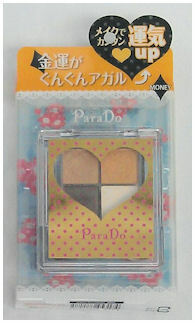 This is my go to eyeshadow quad when I am in a rush, it has four beautifully pigmented shimmering shades (no fallout) in GD01 by Japanese company Para Do. Packaging is so cute, don't you think? 7. Volume Lash Fiber Mascara by B&C in black. 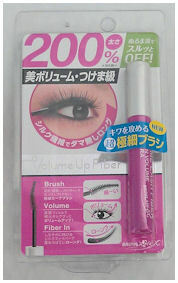 It is the best mascara I have tried so far. It has curved brush coated with conditioning fibers that do wonders for my eyelashes. 8. And the last item is the Lancome Lip Gloss in shade 308. Beautiful colour and not sticky. I highly recommend it. This is very natural work day look that goes with anything I wear. 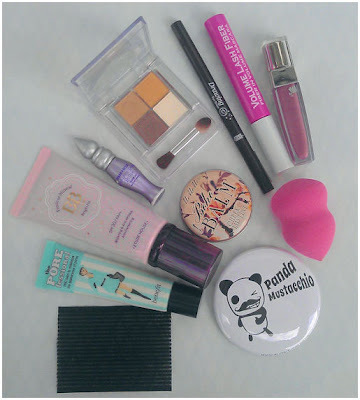 What is your morning make-up routine?